When S. J. was a little S. J., she enjoyed writing stories and sharing them with her friends. Of course they were ridiculous, and, of course, she was supposed to be doing Math homework instead. However, those old stories lit the spark for sharing words with others. S. J. still avoids Math homework and hopes you like her books more than fractions and decimals. Her favorite books usually come in sets: Harry Potter, The Hunger Games, Divergent, and Twilight. S. J. believes you should read what brings your imagination to life, so if you haven't found it yet, keep reading! Daniel the Draw-er by S.J. Henderson is a magical children’s tale about Daniel and his magic pencil. Daniel is your average nine-year-old boy and he loves to draw. His mom is concerned about him and wants him to go out and find more friends. “Daniel, Annie is a nice girl, but it’s not healthy to have only one friend.” Daniel likes Annie and he considers her his best friend. With Annie, Daniel feels that he does not need any other friends because of the adventures they share. One day Daniel does find other friends by the stroke of his magical pencil. Come along with Daniel in Daniel the Draw-er by S.J. Henderson and meet Whiskers, Pi-zzabot, Macaroni and a cast of other magical characters. Daniel the Draw-er by S.J. Henderson is an ideal book for children. It is full of adventure as seen through the eyes of a child. S.J. 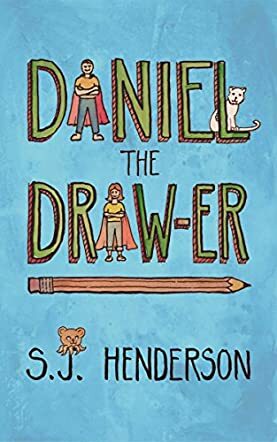 Henderson takes the reader on a journey of imagination and fantasy with not only Daniel but Annie as he begins to share his magical pencil with her. Who could have imagined that with a pencil, eraser and paper a whole world opens up for a child? Daniel the Draw-er by S.J. Henderson shows us how vivid the imagination is of a child. If you are looking for a fun, adventurous and magical book to read to your child, consider Daniel the Draw-er by S.J. Henderson.